It’s been a very busy time over the last few months and the weeks just fly by but I’ve eventually realised that some events had not been fully covered by a blog update. Many events do get mentioned briefly through the Facebook or Twitter accounts but that doesn’t include much detail so it seems right that I post more information here. This year we got exactly what we’d hoped for with the calving. 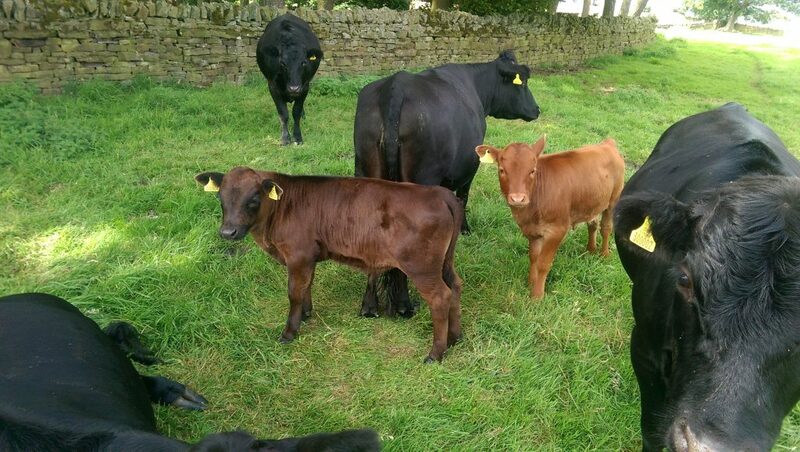 A red heifer calf (Primrose) from Nellie on 30 May followed a few weeks later by a “black” bull calf (Frank) from Daisy on 12 June. My initial belief that Frank was black is proving to be a little wrong and he is actually a lovely shade of brown which I assume should officially be called “dun”. We are now looking forward to the arrival of the pedigree Dexter bull that we’re borrowing this year. We’ve heard good things about him and saw him while he was at a friends farm recently so we’ll keep our fingers crossed for another good result when calving time comes around next May or June. We have 4 pigs from the first litter (from Sissy) and they are developing nicely. As we didn’t raise any pigs for meat last year, it’s been a good reminder this year for monitoring their growth and planning for the inevitable departure. We don’t take this any more lightly now that we’ve had pigs for 4 years, it’s just as important to us now that they have a good life while they’re with us and a stress-free final trip to the abattoir. The first 2 pigs from the older litter will be heading off to the butchers by early August and when I calculated their weight at 6 months old they were roughly 60kg which is fairly respectable. At feeding time tonight I managed another quick measurement for weight calculations and they are almost up to 74kg now. Amazingly this is exactly what I’d been hoping for as they will be going off in 2 weeks time and should be about 80kg at that time. This is ideal for a basic “porker” like the first ones going off where we just want pork joints, sausages etc. With some careful monitoring, the other 2 pigs from this litter will go off about 3-4 weeks later when they’ll hopefully be 90kg or just over which is a better weight for a “baconer”. 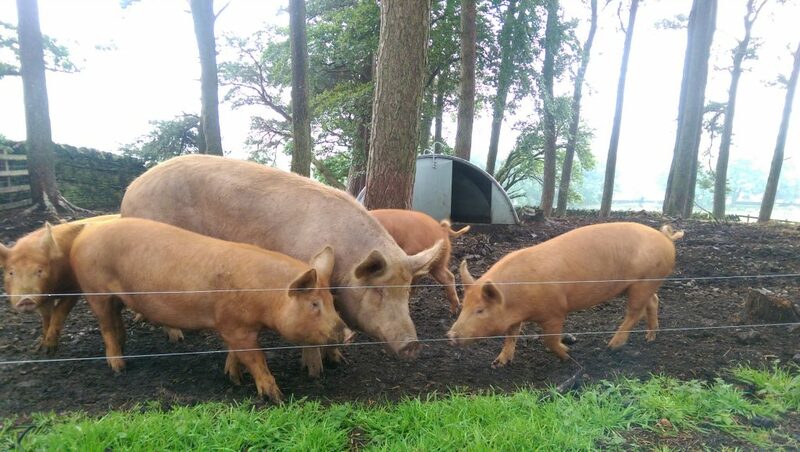 The first batch of pork will be available for sale from 20 Aug and this year we also have 3 pigs from the second litter (from Esther) who are roughly 2 months younger. This will help to give us a regular supply of pork for sale from summer through to autumn or later this year. 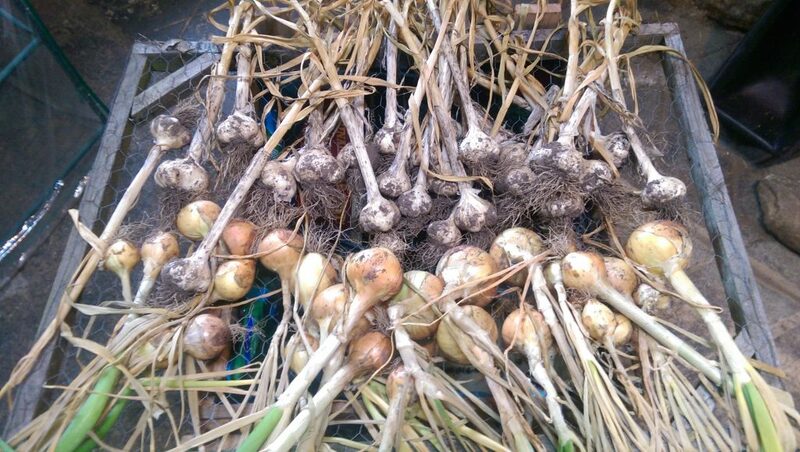 Despite some poor results in other areas with growing produce this year, the garlic and onions that were planted last Autumn have now been harvested. The fairly respectable haul is currently drying in an outhouse while I think about the best way (and place) to store them. This is the second time that I’ve grown garlic and onions this way and I’m really pleased with the results. I think they’re definitely on the list for next year so I’ll need to reserve a spot to plant some more this autumn. 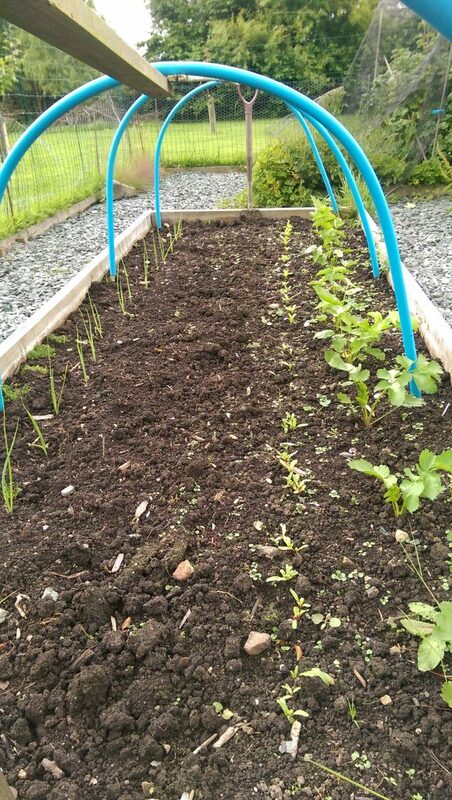 After a complete failure (yet again) with the dwarf beans, I’ve almost managed to fill the space with my excess leeks and some chard. I’m also hoping to get some more carrots sown in there very soon as well because we can always use more carrots and they are easy to grow – although never very straight! With just a single row of parsnips this year, I think that Christmas dinner might be sorted out but not many parsnips left after that. I’ve never had much luck with germinating the seeds and I often think I won’t bother with them next time… However, the taste of a roasted parsnip which came fresh from the garden is something really special so I expect I’ll persevere with them. Overall it’s been a pretty good growing season this year with no prolonged excessively dry (or wet) spells. There were some problems with rabbits sneaking in and nibbling my lettuces but adding some chicken wire to the boundary fence has fixed that problem. 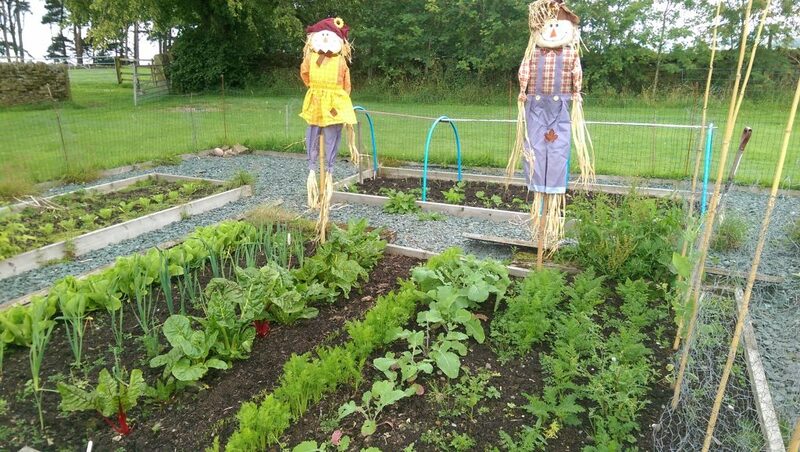 The newly installed scarecrows from Waltons are now dealing with any potential problems with the extensive bird life in the garden. If I’m honest I really don’t mind sharing a little of it with them but I’m not sure they’ll leave any behind if I don’t do something! including our own carrots, chard, courgettes and runner beans. Hope you are all well and having good weather.